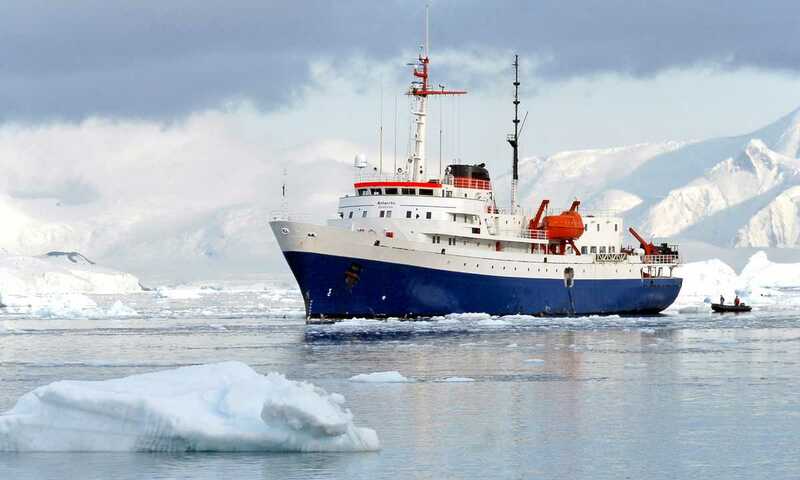 Originally built for the US agency NOAA (National Oceanic & Atmospheric Administration), following refurbishment the Ushuaia is renowned for its friendly South American staff, consistently high customer feedback and good value. Everything about the trip to the Peninsula aboard MV Ushuaia was wonderful. The ship, crew, staff, and especially the expedition leaders were great. They really took care of us well and ensured that we all had the journey of a lifetime. I loved that the Ushuaia was small/intimate. The staff were great and it had a good vibe to it - definitely the right ship for us. 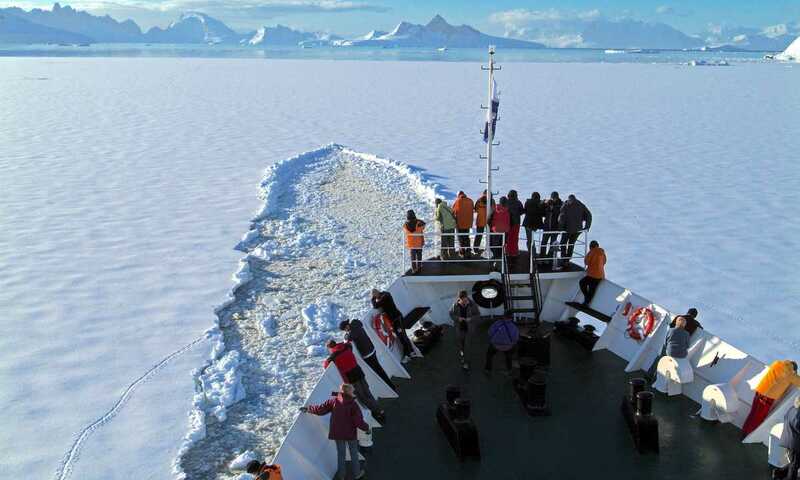 I would recommend this ship to those who want to do an "expedition", truly wanting to experience Antarctica. We were so pleasantly surprised by this cruise. None of us knew what to expect... but we were blown away! We had a triple cabin and it did not have bunk beds, which made us sooooo happy. We also had a private bathroom and space, so we were really pleased with the room. Every single member of staff enriched my stay and it far exceeded any expectations, I can’t speak highly enough of the whole trip. VERY satisfied. I loved the size of the ship - not huge so that it makes it feel impersonal. Perfect! Food was very good. Staff were tremendous. The Ushuaia is small, elderly and with next-to-no luxuries. 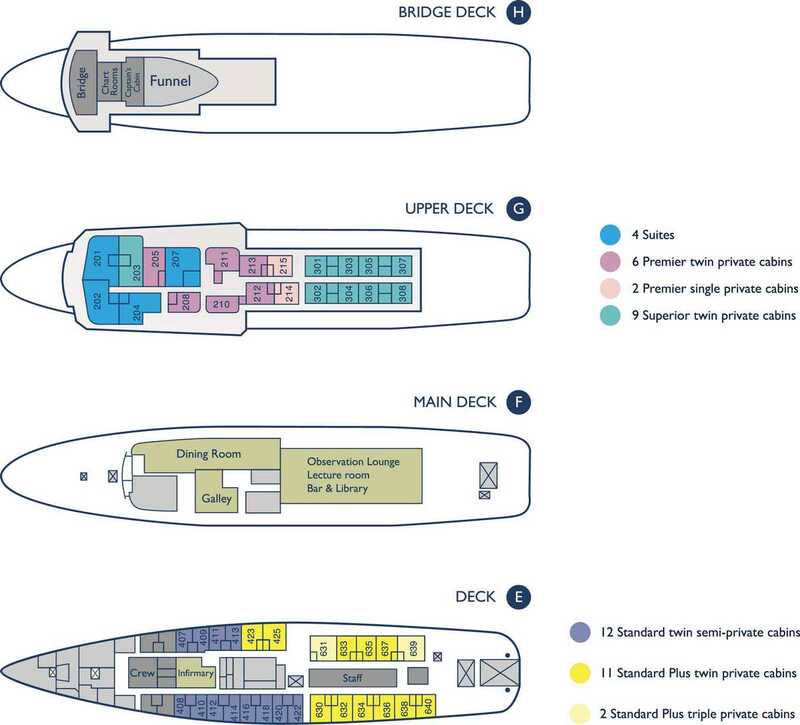 If people are expecting a cruise, with all that implies, think again. 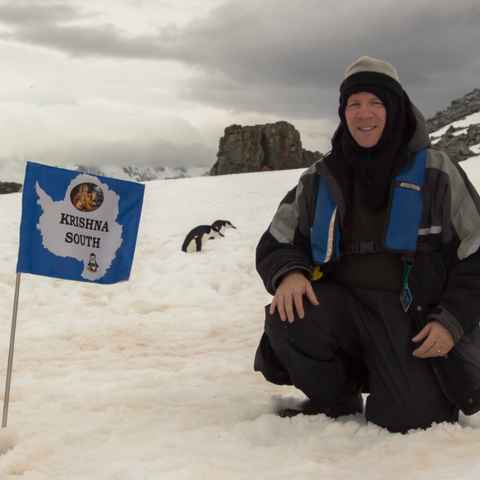 We were happy with it as Antarctica is a destination that has no luxuries and somehow it would be wrong to be on a 5-star ship. Interesting fellow passengers and an expedition team who were hugely knowledgeable and great company - I thoroughly enjoyed my voyage aboard The Ushuaia. The consistently high feedback which we've received from Swoop customers further endorses just what a great ship she is. 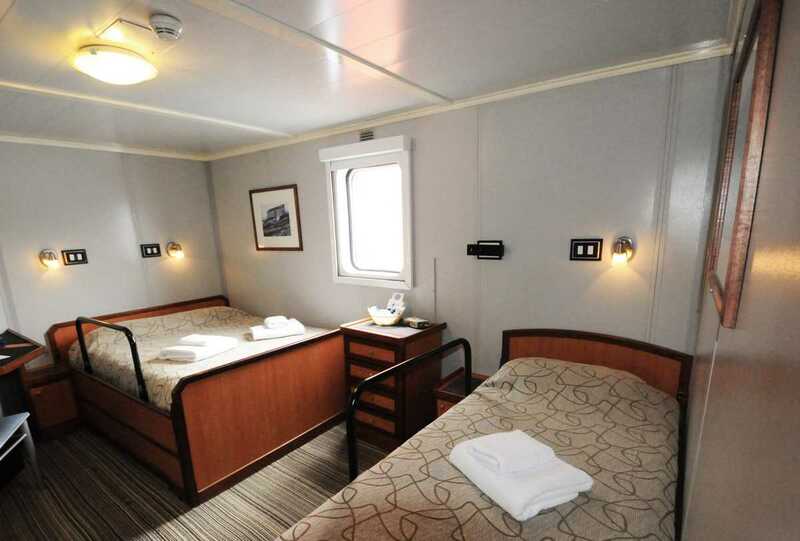 The MV Ushuaia has just been refurbished, and offers clean and comfortable cabins for a range of tastes and budgets. Suite 201 features two double beds and Suite 202 features one double bed and a sofa bed. 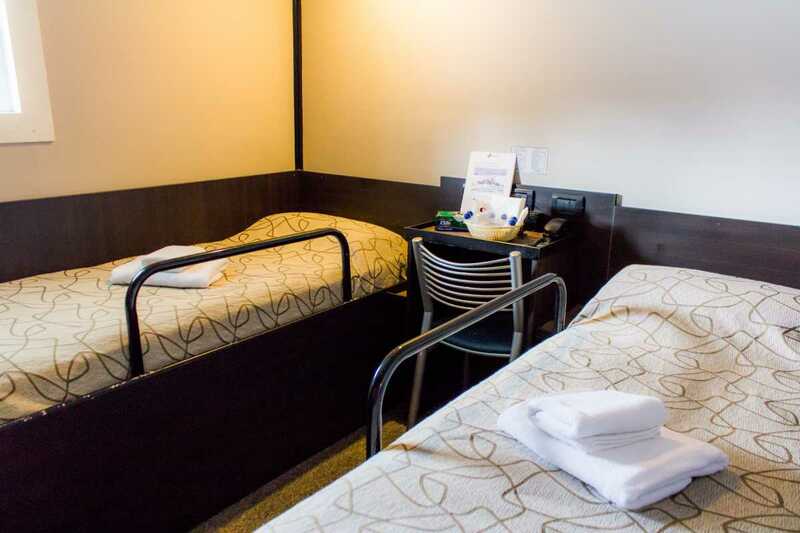 Suites 204 and 207 feature three lower single beds so are ideal for families. 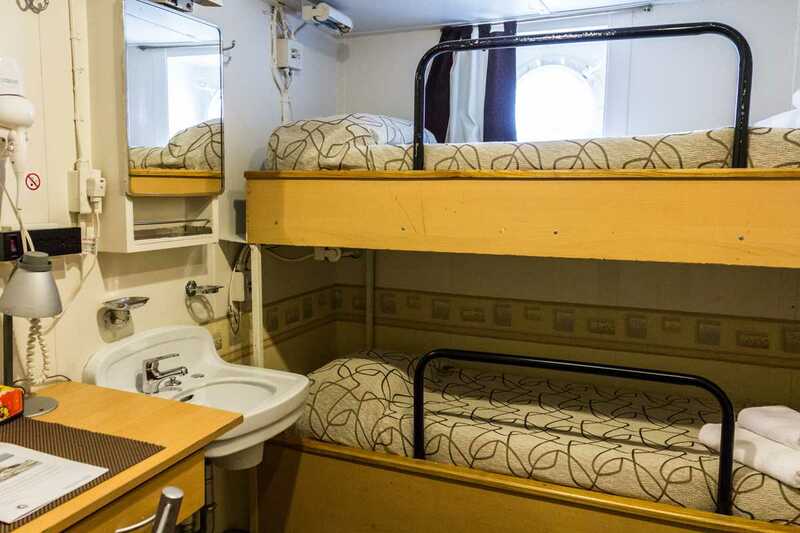 Cabin 301 features one double and one single bed. 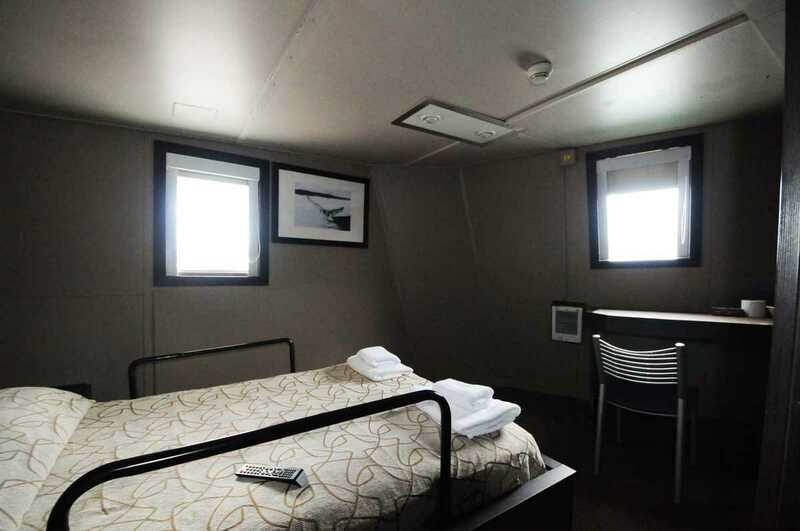 The view from the single cabins is obstructed by the lifeboats outside their porthole. Twin Standard Plus cabins 633, 635 and 637 have windows. 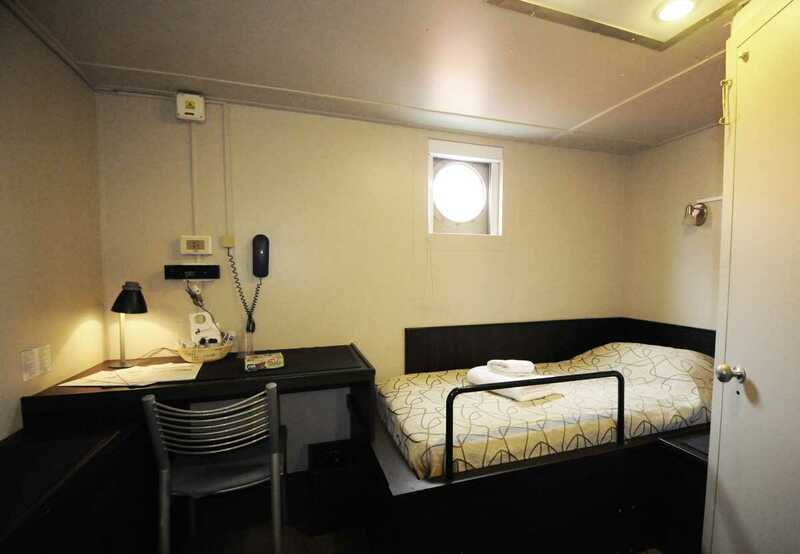 Cabin 640 is the only one with a double bed. Please note that this is only for light data traffic and that the above prices are only approximate. You can check your personal emails using the onboard computers to connect to Internet, there is no wifi. The ship is reachable via e-mail or phone.